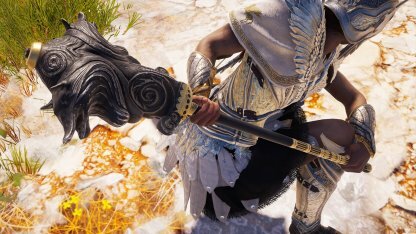 Check out the stats and how to get the Legendary weapon - Typhon's Mace for Assassin's Creed Odyssey! 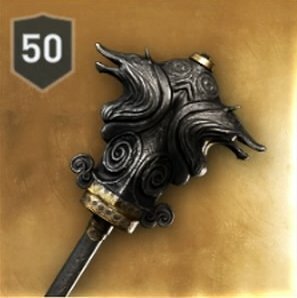 Unique Perk - "+20% Damage with Charged Heavy Attack Ability"
Typhon's Mace is a legendary heavy blunt weapon that deals more damage when using Charged Heavy Attacks. Though slow, it can break through enemy shields & attacks when used wisely. This weapon boosts both Assassin & Heavy Blunt Weapon Damage. Its decent damage compensates for its slow swing & attack speed when attacks are timed perfectly. Exekias the Legend roams around Greece. You can track him once you've completed all the Cultist clues in the Heroes of the Cult line. 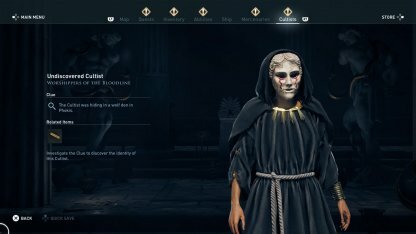 Check Out Unmasking & Killing Cultists! Cultists are assassination targets located around the world. The Cultists be hunted down after completing the Episode 3 of the Main Quest. Exekias the Legend has no fixed location & travels through the land. You can only track him once you've defeated all members of the Cult branch - Heroes of the Cult. Facing this Cultist & mercenary can be tough for underleveled characters. Make sure to gear up & level properly before fighting him.